I relish travel as a chance to immerse myself in the local culture and set time to focus on what is truly important in life. Working with The Travel Yogi feels as though I have hit the jackpot. Whether I am on a scouting trip to test a new retreat location or hanging out with yogis on the go, I get to combine my passions of yoga and travel. As the newest member of The Travel Yogi team, I have been fortunate enough to travel to some of the most sought after vacation destinations in the world. 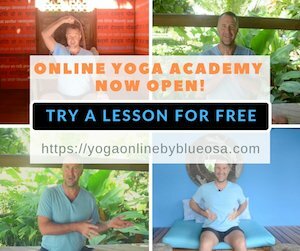 In the past three months, I’ve had a chance to explore yoga retreats in Costa Rica, Mexico, Roatan and Galapagos and there’s plenty more to come! Practicing yoga is divine in itself, but when practiced on a gorgeous beach, overlooking the ocean, or amidst the jungle, it can be even more blissful. Here’s a list of unforgettable yoga retreats around the world that will blow your mind. 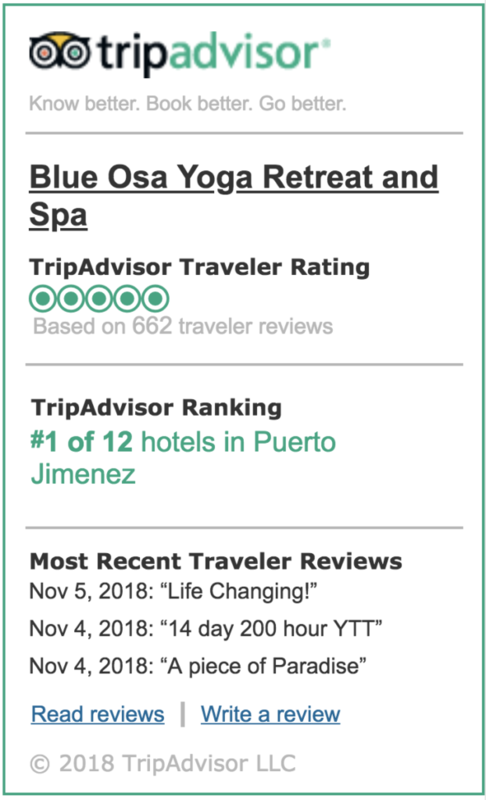 Blue Osa Yoga Retreat + Spa truly encompasses “Pura Vida” in its fullest and combines the best of the coastal and jungle life. Visitors are bound to see herds of monkeys and flocks of Macaw parrots in the surrounding canopies. Blue Osa offers delicious farm-to-table daily meals and creates a loving and comfortable atmosphere of community that simply can’t be bought. If you’re looking for the ultimate yoga retreat in Costa Rica, Blue Osa is it. My newest destination find has been Roatan,Honduras. This gorgeous island, surrounded by one of the best coral reefs in the world, is a diver’s heaven. 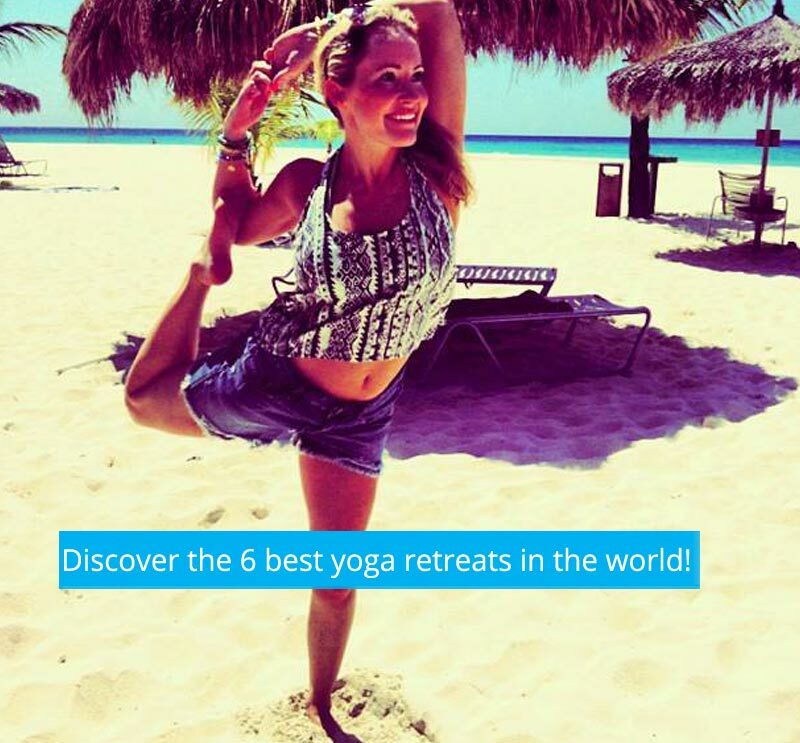 Experience the hustle and flow of a yoga retreat while gazing out onto the Caribbean Sea. This retreat is an opportunity to relax, rejuvenate and have tons of fun in the process! For the adventure groupies, I can’t rave enough about Galapagos. It is an absolutely incredible escape into a vision of crystal clear waters, lush green foliage and fantasy-like islands made of volcanic rock. Retreaters are constantly adventuring here, traversing the different isles of Galapagos and encountering wildlife ranging from marine iguanas to giant land tortoises to the ever loved Blue-footed Boobie. One of my favorite destinations to daydream about is Santorini. Discover the possible birthplace of the legend of Atlantis and relish in the ancient combination of island culture and yoga. Plus, Santorini is world-renowned for its food, wine and romantic towns perched upon the hilltops. What could be better than that? Along with yoga, this retreat also includes stand up paddle boarding where yogis will get to test their balance on the Caribbean Sea. Come along on a journey to feed your soul, to laugh, to be inspired, to be in awe of the natural beauty of the sea and dip your toes in the crystalline water. I am enchanted with island life, so without a doubt Turks and Caicos is another on my list of places to see.. 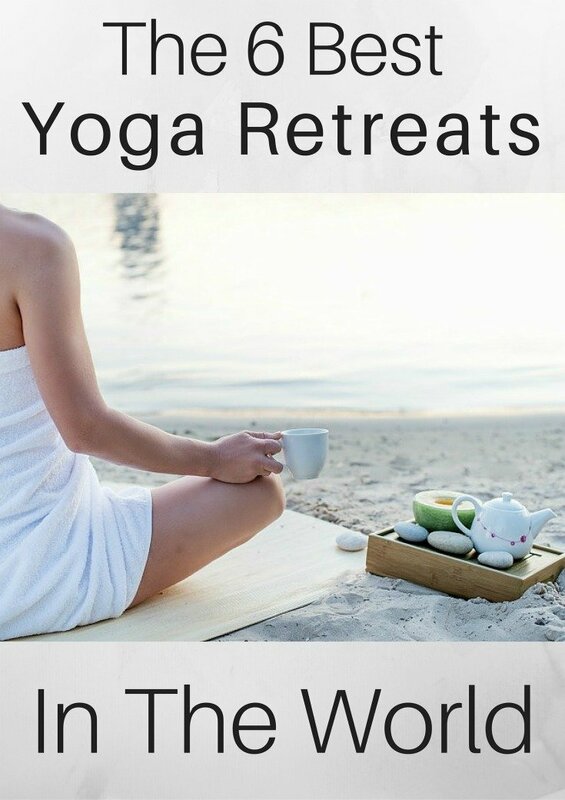 This retreat will allow yogis to relax and melt into the beach culture while gaining valuable life skills that relieve them from common worries that overwhelm them in day to day life. Whether you are a devout yogi or just a travel junkie, yoga retreats give the adventure enthused a chance to explore a new destination while also awakening the mind and soul. No matter where you are on your journey, you will certainly benefit from a yoga retreat immersion experience. Please share with us some of your favorite retreats that you have been to in the comments section below. 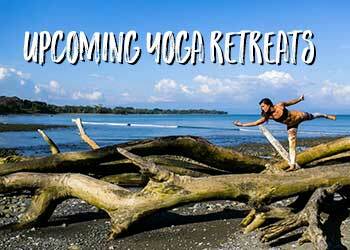 Discover Upcoming Yoga Retreats To Costa Rica! Liz LaRocca is a California girl, by way of Texas. Liz is a coffee shop junkie, avid beach walker and road trip enthusiastic. She has a degree in Advertising from the School of Communications at the University of Texas. Liz worked at the Hotel Saint Cecilia as Office Manager, which gave her a profound respect for hotels and the hospitality industry. She left Austin, Texas with a deep appreciation of music, the outdoors and an appetite for adventure. Her wanderlust has taken her to Italy, Jamaica, Sweden, Belize and a study abroad in Costa Rica (where this coffee connoisseur thrived!). A passionate yogi and traveler, Liz found herself quickly immersed in the yoga community in Los Angeles and it was not long before she crossed paths with The Travel Yogi and joined the team.